In this Dec. 11, 2006, file photo, a silicone gel breast implant is shown at Mentor Corp., a subsidiary of Johnson & Johnson, in Irving, Texas. Government medical advisers said Monday it's too soon to ban a type of breast implant that has recently been linked to a rare form of cancer, saying more information is needed to understand the problem. Estimates of the frequency of the disease range from one in 3,000 women to one in 30,000. It grows slowly and can usually be successfully treated by removing the implants. 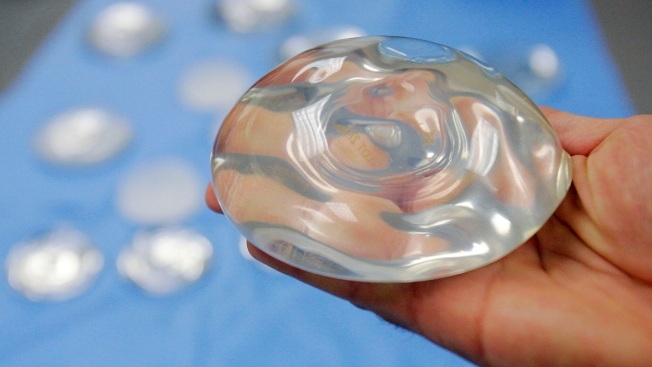 The FDA said it has also received reports of the disease in smooth implants — which account for most of the U.S. market.